I'm Tom Waid, formerly a Tuba Player with The United States Army Band (Pershing's Own) and, since I'm now retired and being paid NOT to be in the Army, presently the instructor of tuba at Stetson University in DeLand, Florida and at Brevard Community College in Cocoa, Florida. This is the place where students in my BCC, Stetson, and private studios may find resources to help with their music lessons. In addition I've included pages devoted to my diversions so that I may share them with my students and anyone else who may be interested. Please enjoy your stay! For a summary of what I have to offer on this web site go to "How to use the Site." 18 June 2013: Our 40th wedding anniversary! For more about this; go to my Kitfox Project page. To find help with your music study go to Lesson Resources. You will find help with your daily practice, materials such as scales and warm-ups, syllabi for my BCC and Stetson students, a repertoire list for the study of trombone, euphonium, and tuba, and a list of recordings of interest to students of these instruments. Go to the Links page for web sites of interest to low brass musicians and also a few off topic links just for the fun of it. When my wife, Linda, and I retired from the Army Band we moved aboard our sail boat and voyaged to the Caribbean. During the fourteen months we spent cruising I posted a journal to a web site we called "The Voyage of the Bellatrix". Here at TropicalTuba.com I've archived stories and photos from that original web site. We no longer own a boat. We've sold it and bought an airplane. Both Linda and I have become pilots and enjoy flying our Cessna N6496B. As if owning one airplane is not enough. 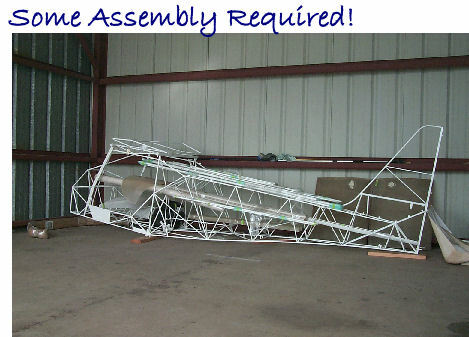 I am currently building another airplane from a kit. This airplane will eventually replace the Cessna. Go to my Kitfox Project page.